Aviation during the World War II era was a unique moment in history in terms of both aircraft production and how airborne warfare was conducted. Tens of thousands of fighters and bombers were built by each of the major combatants in a conflict where sheer numbers of aircraft were the only way to effectively fight the war from above. Often times hundreds of aircraft would be launched on a mission, with the goal of destroying an area that was only the size of a few city blocks. It was a style of bombardment that, by war’s end, had been rendered totally obsolete. Today, only a relative few of these aircraft still exist, and of those just a small fraction are still in flightworthy condition. 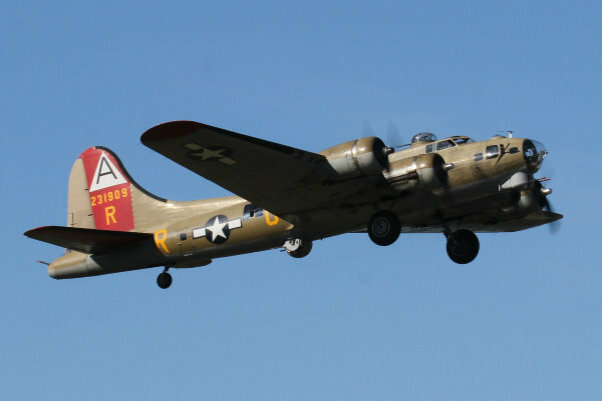 So each year, when the Collings Foundation brings three of the most produced American military aircraft of the time period to visit on their Wings of Freedom tour, I jump at the chance to visit. 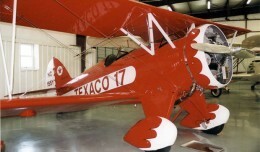 The Collings Foundation, based in Stow, Massachusetts, is dedicated to preserving and displaying classic aircraft and automobiles. The aircraft in their collection ranges in age from a 1909 Bleriot Type XI to several Vietnam-era fixed and rotary wing aircraft. However, roughly half of their aircraft are World War II vintage fighters and bombers from both sides of the conflict. Of the entire collection, the gems have to be their B-24J Liberator “Witchcraft”, B-17G Flying Fortress “Nine O Nine”, and the only remaining TP-51C Mustang “Betty Jane”, which tour the United States with each year. Each stop on the tour is locally organized and consists of two parts each day. The middle of the day, generally from mid morning until late afternoon, consists of a walk through tour where for a nominal donation you can walk around each of the aircraft and through the two bombers. During the walk through tours, there are several members of the Foundation who fly and maintain the aircraft along the tour’s many stops available to talk to the public as they take clean and care for the aircraft. These individuals show an obvious passion and an incredible amount of knowledge not only for the aircraft in the collection but for the time period during which they flew as well. Also available to speak to on site were numerous veterans who had flown aboard these types of aircraft during World War II. Most wore homemade name tags stating which aircraft they flew and what their job was, while a few even wore their old military dress uniforms. They too were eager to share their tales of life as a combat aviator in a battle where the average life expectancy was fewer than 20 missions. The second portion of the day, occurring both before and after the walk through tours, is the flight experience. Rides aboard the two vintage bombers are available for a few hundred dollars per person, while flight training in the TP-51C will set you back a couple grand for a 30 minute flight. These flight experiences also provide the enthusiast with an amazing chance to see these marvelous machines in flight from up close. 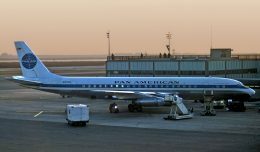 On the morning that I visited, there were no fewer than five aviation enthusiasts and veterans who came out early on a Saturday morning just to see these old birds fly. 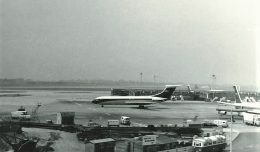 The departure of the two bombers was staggered by about 15 minutes, with each flight lasting about 45 minutes. As they arrived back at the airport, they flew over the field allowing a few more in-flight photos to be taken. 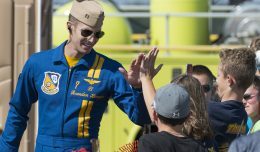 The TP-51C’s flight lasted a bit longer at just about an hour, and as it arrived back at the airport it performed a high-speed low pass down the length of the runway to the delight of all the onlookers before circling back around to land. 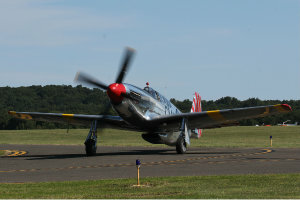 The 2013 Wings of Freedom tour will be visiting stops around the northeastern United States through the beginning of October before heading south for the winter months with one stop each scheduled in Maryland and Georgia. The 2014 tour is expected to start up early next spring, likely on the west coast. The most current listing of where the Wings of Freedom tour will be can be found on the Foundation’s website. 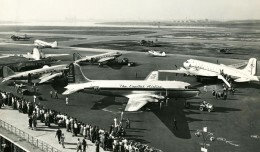 On the 75th Anniversary of La Guardia Airport's dedication, we take a deep look at its history in this heavily narrated photographic tour.